I always resisted seeing this version because of the misguided costuming (although the novel is set during the Regency era, the costumes are 1830s). However, I finally buckled down and watched and I have to say I quite enjoyed it, mostly for Greer Garson’s take on Elizabeth Bennet. 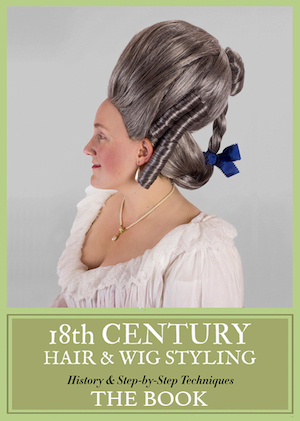 It is definitely of its period, however– costume wise, it’s 1830s on acid (totally overblown hair, dresses, trim, etc.). Darcy is made much more palatable, and his romance with Elizabeth is made much more mushy. Nevertheless, worth a watch. Jane Austen’s 1813 novel is actually set in the late 1790s. This means that the 2005 version with Keira Knightley and 2013’s “DEATH COMES TO PEMBERLY” (which is set six years after the end of “PRIDE AND PREJUDICE”) are the only productions that got the time period right. I am watching it now as I type, and I am positively cringing – frothing at the mouth with disgust at the whole thing. Why wasn’t it in 2120 AD – completely destroyed the feel of the story. Terrible – Hollywood arrogance. Considering that most BBC productions got it wrong by setting the story during the Regency period, I guess the British television industry was pretty arrogant, as well. This one has by far the best representation of Elizabeth Bennet’s manner that I’ve every seen. Austen labored very carefully to depict a character continually skirting the boundaries of politeness and crossing into laughing rudeness, but getting away with it by the pleasant archness of her manner. Elizabeth herself is sometimes astonished at what she gets away with. Most portrayals don’t even try to get that right. I hate this version…Greer Garson far too old, she should have been cast as an aunt or not at all. I know she was a big star (somehow) but no. This was just wrong and she made it unwatchable for me. I never much liked Keira in this role either as it is beyond belief that she would be “tolerably pretty”. Jennifer E. remains the best Elizabeth Bennett though even she is almost too beautiful, but she comes through better with humor of the role.